The past two weeks Mr. Pellegrino has helped Miss Forr by sorting all of the middle school paperwork. The middle school teachers couldn’t be happier with their new system of returning papers. Last week, the 8th grade boys taught Mr. Pellegrino the “Catholic Dance” The whole class got up and danced together for a few minutes. The 8th grade really enjoys having Mr. Pellegrino in the classroom. He brightens everyone’s day. 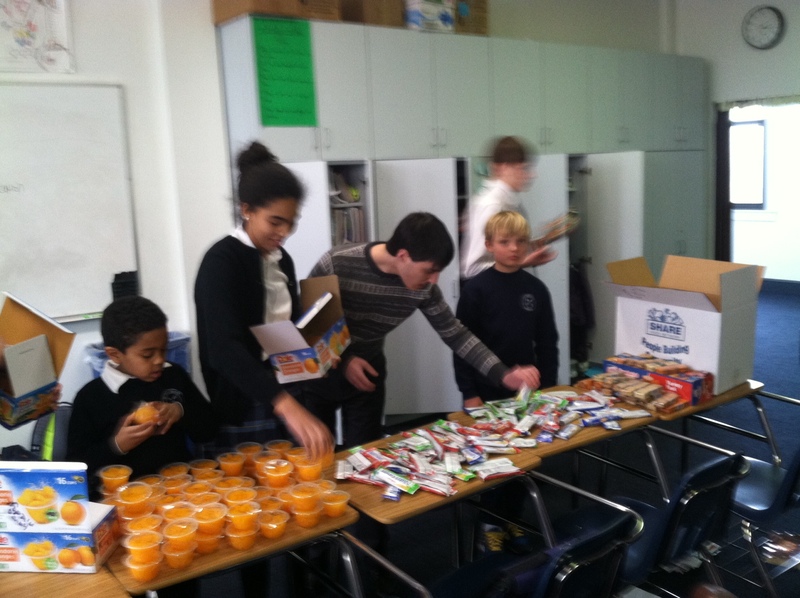 Yesterday, St. Peter’s held their quarterly student families, and they made breakfasts for Catholic Charities to distribute to the homeless. Mr. Pellegrino was extremely helpful in organizing the materials and making sure that each breakfast was properly sealed and stored. Miss. Allen has been teaching the third grade about the saints. Yesterday, Miss Allen told the students about Our Lady of Fatima. Her lesson was especially powerful because she included her own story of healing through the power of Our Lady of Fatima. In addition to teaching religion for about 20 minutes each Wednesday, Miss Allen provides the students with materials for a bulletin board in the back of the classroom. This bulletin board changes weekly to correlate with the saint that Miss Allen is teaching about. Miss Allen is so creative, and Miss Monk, the primary third grade teacher, has spoken so highly of all of Miss Allen’s ideas and work.